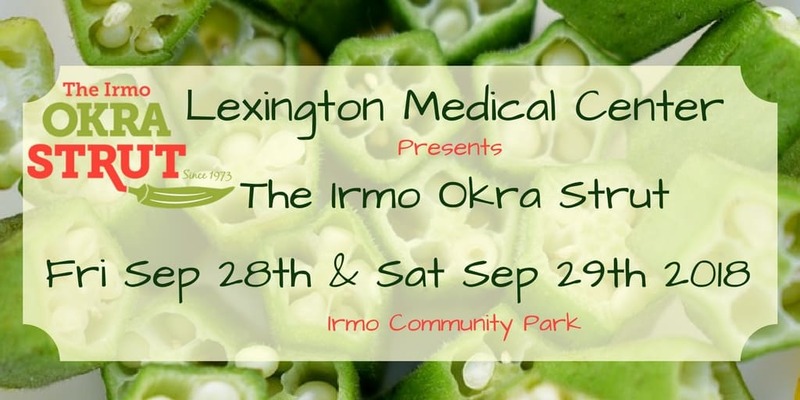 Feed the 46th Annual Irmo Okra Strut! The 2018 Irmo Okra Strut sold out of space. This year we only have space for 16 Food Vendors. No two vendors can provide the same items, so we must be picky, not everyone will be selected for 2019. Apply early for a better chance! Thank you for your time and interest. We look forward to working with you in 2019!